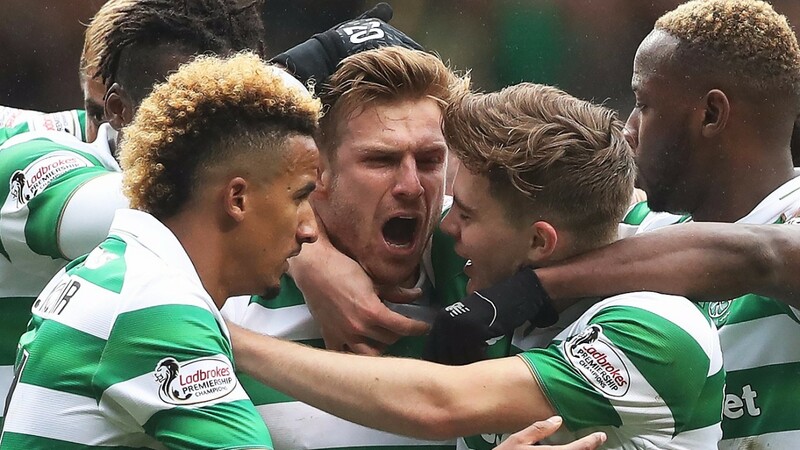 Celtic should continue their domestic invincibility with a win against Rangers, but it might not be the one-sided affair their fans expect. The Hoops' unbeaten run has now stretched to 40 games this season in the Ladbrokes Premiership, Betfred Cup - both of which are already in the trophy room - and the William Hill Scottish Cup. Today they face Pedro Caixinha for the first time. The Portuguese coach took a watching brief in the Parkhead stands when his new team claimed a deserved point against the champions, days after being appointed. He's unbeaten and there are positive signs for Rangers fans. He's tightened up a leaky defence and appears to favour a more direct style than his hapless predecessor Mark Warburton. With Kenny Miller continuing to defy age and logic up front, the Gers certainly head into this with renewed hope, especially after impressive wins against Aberdeen and Partick Thistle. But that's where the optimism should end. Brendan Rodgers will surely have learned from their last draw against Rangers and will have come up with a Plan B.
Moussa Dembele has gone badly off the boil, but with Scott Sinclair - who looks a shoo-in for Player of the Year - and Stuart Armstrong in splendid form, they should really put pressure on the Rangers backline. Rangers will hope their rope-a-dope tactics which worked so well at Pittodrie will be as effective against Celtic, but the late loss of keeper Wes Foderingham is a blow and former Port Vale shotstopper Jak Alnwick has picked quite some game to make his Gers debut. Celtic are the best team in the land by a country mile and should still be able to ruin Caixinha's Old Firm bow, albeit by a narrower margin than expected. subs: Logan Bailly, Tom Rogic, Leigh Griffiths, Patrick Roberts, Erik Sviatchenko, Kouassi Eboue, Emilio Izaguirre. subs: Robby McCrorie, Lee Hodson, Andy Halliday, Josh Windass, Joe Dodoo, Joe Garner, Michael O'Halloran. Celtic are at full strength. Rangers could welcome back defender Clint Hill, but keeper Wes Foderingham is set to miss out after a late training injury. Captain Lee Wallace is out along with long-term injury victims Niko Kranjcar and Jordan Rossiter. Rangers have conceded just one goal in their past five games.